Miami Ink “Auto Pilot” T-Shirt. 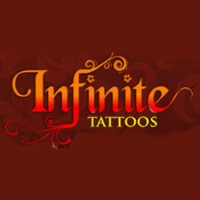 Miami ink is the go to clothing company for tattoo inspired clothing. This intricate Miami Ink “Auto Pilot” T-Shirt has many hidden subtle details and wild complexities. This designer 100% Cotton Tee is printed with the highest quality ink. Wear your ink with pride. Miami ink tattoo inspired t-shirts are not just clothing, they’re a way of life. This shirt features the grim reaper soaring amongst a horde of flocking ravens, a symbol of death.